The Fundamental Characterisation for Nanotechnology course provides a justification for materials characterisation, and a framework for considering strategic and tactical issues. It also gives an overview of the most common techniques and methodologies available to determine the nature and composition of nanoparticles (both organic and inorganic), thin films and nanostructures. The course presents generic descriptions of techniques and methodologies, together with representative case studies. In addition to the course material and online tutorials, the course incorporates interactive team projects, whereby iterative 'proposals' are presented to experts, who then provide feedback and guidance for further development. The course includes a residential weekend in Oxford where students have an opportunity to see the latest characterisation methods at the University of Oxford's Begbroke Science Park. Please send me an email about future Fundamental Characterisation for Nanotechnology courses. What are the attributes of a given material? Are the attributes of the material those intended, were promised, or were led to expect? Is our chosen materials processing route, or device fabrication route, working as intended, or as it did yesterday? Giving due regard to efficiency and cost-effectiveness. The course also introduces the key methods and approaches used in materials characterisation for nanotechnology and offers guidance as to when and how each technique is best used. An overview of strategic issues - synthesis and summary. There will also be live online tutorials, normally once each week. At the end of the taught part of the course, students attend a weekend in Oxford at the University of Oxford's Begbroke Science Park in association with BegbrokeNano, a well-established focus of characterisation expertise, and one of the UK Technology Strategy Board's Micro and Nanotechnology (MNT) Centres. During the weekend students are given information on the latest techniques for nanoparticle characterisation and some of the latest pieces of equipment from manufacturers are demonstrated. Explanations of the principles behind the techniques and demonstrations of the equipment allow students to gain an understanding of how best to characterise nanomaterials. Light scattering for particle characterisation (particle analysis, dynamic light scattering, centrifugal sedimentation, laser diffraction). The nano-scale materials characterisation weekend will be held on 6 - 7 July 2019. Students should work on the module level activities in parallel with studying the main materials. A small sample of the Fundamental Characterisation for Nanotechnology course is available through our virtual learning environment. 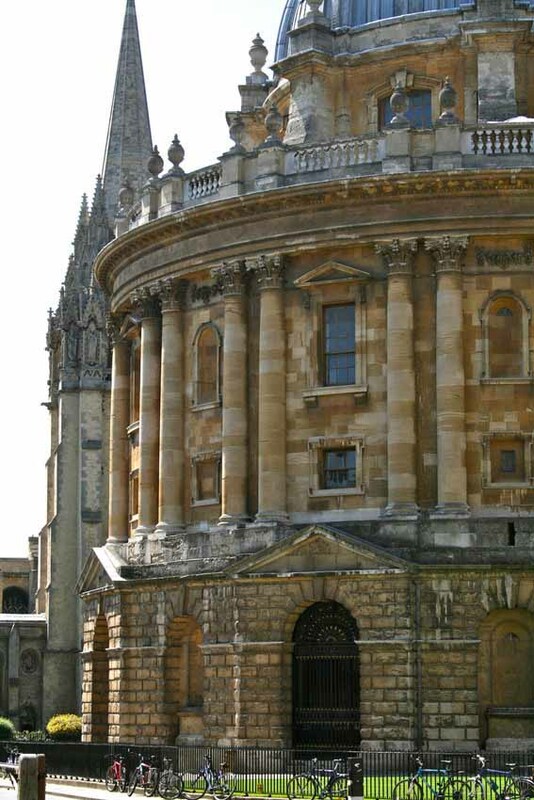 Throughout the course, students can use the University of Oxford’s unrivalled electronic library resources to enable them to complete the assignment tasks. Short course participants who do not wish to undertake the assessed work required for academic credit, but who do satisfy the course participation requirements, will receive a certificate of completion. Those successfully completing the course with academic credit can apply to receive a CATS point transcript. Transportation between Oxford city centre to the course venue on both days of the Characterisation weekend. Before making your application for this short course, please ensure that you have read the terms and conditions which can be found towards the bottom of this page. Please see the Postgraduate Certificate in Nanotechnology page for more information regarding fees when taking this course as a part of the PGCert Programme. Frank Dillon graduated in Chemistry from the National University of Ireland, Cork in 2002. He obtained an Innovation Partnership Grant from Enterprise Ireland and Intel Ireland in order to carry out his PhD research in Materials Chemistry under the supervision of Prof Trevor Spalding. His work centred on the synthesis of carbon nanotubes as thermal conductors and reinforcing materials in mesoporous silica based composites and resulted in the award of his PhD in 2006 for the Development of carbon nanotube reinforced ceramic materials. Subsequently, he worked in the Tyndall National Institute, Cork with the Advanced Materials and Surfaces group as a post-doctoral fellow with Professor Martyn Pemble. The group is primarily concerned with the growth, characterisation and infiltration of photonic crystal based systems and, as part of this effort, Frank was invited to the Physics Department in Macquarie University, Sydney as a visiting fellow for a month in spring 2008. He joined the Nanomaterials Group in the Department of Materials, Oxford University in July 2008. The focus of his is to develop the great potential of carbon nanotube-inorganic hybrids and show that new scientific horizons will be opened by material combinations and their synergistic functions, rather than optimization of one particular material. Carbon nanotubes have highly tunable surface areas, aspect ratios and hollow cavities which make them ideal templates for size-controlled inorganic nanoparticles, nanotubes and nanowires respectively. These hybrid materials merge the properties of the components in a way that creates new enhanced properties and increases the robustness of the inorganic nanomaterials. These nanocomposites are expected to have excellent applicability toward various technologies such as catalysis and composites along with energy related areas such as photocatalysis, batteries and supercapacitors. Christiane is the Nanotechnology Programme Manager at the University of Oxford's Begbroke Science Park. She received her DPhil in Materials Science from the University of Oxford in 1998 and continued with postdoctoral research. In 2001, Christiane was awarded the Royal Society Dorothy Hodgkin Fellowship for her work on the growth and characterisation of nanostructures on semiconductor surfaces. After a period as a lecturer at the Multidisciplinary Nanotechnology Centre at Swansea University, Christiane returned to Oxford in 2007 to take up her present post. Her interests and expertise are in the areas of surface science, growth and characterisation of nanostructures on surfaces, and nanotechnology in general. Christiane also teaches nanoscience and materials science at undergraduate and postgraduate level. Neil is the Facility Manager of the David Cockayne Centre for Electron Microscopy and faculty member in the Department of Materials. He manages the Departments teaching and training in electron microscopy as well as strategy and daily operation of the facilities within the EM centre. He is particularly focused on developing expertise and applications in advanced TEM techniques such as HRTEM, STEM and electron exit-wave function restoration. He teaches graduate and undergraduate classes in materials characterisation and EM. In his spare time Neil likes to travel, go scuba diving and work in his garden. Acquire the background to survey the literature and to hold informed discussions with relevant experts. Assessment will be based on submission of written assignments, including problem sheets and a project-style report and group presentation, totalling not more than 6,000 words in length. The assignments are submitted online. Those wishing to may apply to take the course with accreditation. The University of Oxford Department for Continuing Education offers Credit Accumulation and Transfer Scheme (CATS) points for the course. Students wishing to complete the Fundamental Characterisation for Nanotechnology course with academic credit will satisfactorily complete the coursework assessments. Attendance of a minimum of 70% of the live online tutorials is required. Students also need to actively participate in the online conversations via the course forums to the satisfaction of the course director. Students fulfilling these requirements are eligible to earn credit equivalent to 25 CATS points which may be counted towards a postgraduate qualification. Application deadline: three weeks before the commencement of the course. This course requires you to complete the online application form (please press the 'Apply' button), and submit a copy of your CV as and attachment as part of your application. If you are applying to take this course for academic credit you will also need to complete section two of the reference form and forward it to your referee for completion, who will then need to return it to us at nano@conted.ox.ac.uk. Please note that if you are not applying to take the course for academic credit then you do not need to submit a reference. be able to demonstrate a suitable level of English (if this is not your first language).